A collection of the last complete unpublished short stories and film treatments written by F. Scott Fitzgerald. The value of this book, nimbly edited by Anne Margaret Daniel, lies not so much in its assembled stories, fragments, and movie scenarios as in her fascinating literary sleuthing and fine scholarship. Augmented by typescript pages, snapshots of Fitzgerald (including one of him mugging in a photo booth), and multiple stabs at the same story, I'd Die For You is a treasure trove for Fitzgerald enthusiasts, scholars, and aspiring writers ... Many of these stories are marred by painfully cloying endings. In his eagerness for movie deals, Fitzgerald cranked out action-packed scenarios that awkwardly channel elements of 1930s screwball comedies and corny Charlie Chaplinesque love stories about tramps and waifs. But while none emit the sparkle of classics like 'The Cut-Glass Bowl,' even the least successful of these tales provide an invaluable glimpse into a brilliant but struggling writer's process. 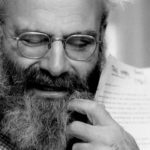 His best writing is grounded in a specific time and place, and then propelled by his deep emotional attachment to the subject matter ... 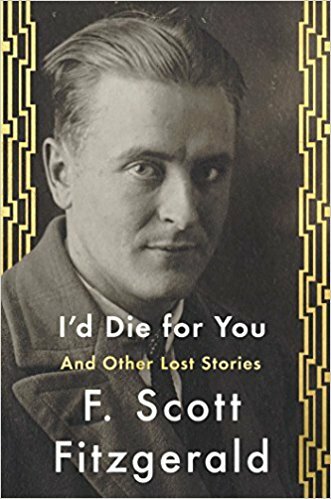 Rejected by slick magazine publishers for its suicidal conclusion, 'I’d Die for You' reaches deep into Fitzgerald’s own experience when he attempted to take his own life in a place he and Zelda haunted in Asheville, N.C., while she sought treatment for her mental illness. The remaining pieces lack what one disappointed editor perceptively called Fitzgerald’s 'incandescent' quality. They suffer from several deficiencies, not the least of which is Fitzgerald’s absence of knowledge about the subject matter ... That is not to say this collection is without merit. The inclusion of the same story with different endings shows curious readers how the author tried to mine an idea...In addition, editor Anne Margaret Daniel’s individual story introductions are highly informative, and her extensive annotations are illuminating. No English-language author ever wrote a more musical sentence than Fitzgerald, a stunning accomplishment considering his work’s diamond-like clarity. There is nothing vague or 'poetic' about his prose, even when it depicts the most romantic and fleeting of sensations. Those talents are on display to varying degrees throughout the collection ... Fitzgerald was anxious to explore new artistic and thematic territory, and to find a tone that would reconcile his romantic idealism to the harsh realities of adulthood ... Whether he lived up to his potential is for readers and scholars to decide, but few can doubt the greatness of what he did write in his hectic, too-short life, even the 'hack work' collected here. What did you think of I'd Die For You: And Other Lost Stories?